On 1 June, we have opened an exciting ink show of an emerging Japanese artist – Satoshi Katayama, in a collaboration with WADO PROJECT (Japan). It is the first solo exhibition for Katayama in Hong Kong, showcasing in total 19 pieces of ink artwork. Katayama has been fervently experimenting the ink medium and exploring its possibility. After a long period of investigation, he comes striding to Hong Kong with his fascinating outcomes on Sumi ink research. In the exhibition, you will get to know the manifold characters of ink works through Katayama’s artistic expressions and also feel the vitality and tenderness of the Sumi ink up close. 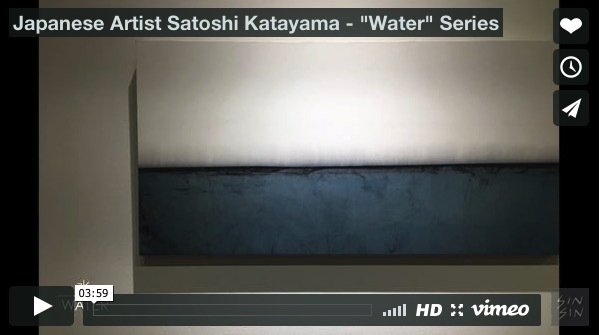 Please click the image below to watch the video of Satoshi Katayama shared his inspiration of "WATER" series in his atelier resided in Nanto-city, Toyama prefecture. Sin Sin Fine Art is pleased to present the 1st solo exhibition of the emerging Japanese Artist Satoshi Katayama in Hong Kong. The exhibition is curated by Sin Sin Man in collaboration with WADO PROJECT (Japan). In this exhibition, Satoshi’s most recent research of “Water” series will be exhibited. “Water” represents the fluid, flowing, formless things in the world. It is very often associated with emotion, defensiveness, adaptability, flexibility, suppleness, and softness. Satoshi is seeking to create a spiritual connection with the audience by guiding them into the retreat of formless “Nothing”. Lithuanian Artist, Gedvile Grace Bunikyte will host a Decoding Session on the logos, nature and existence behind her art to inaugurate her first solo exhibition "In ToTo" at Sin Sin Atelier on 1 July 2017, 6pm-7pm. You are welcome to join us for a wine-pairing feast of five senses along with crafted DJ set by Mr.Ho from 8pm until 11pm. Gedvile, also known by her artist name Grace B, is one of those thirsty for knowledge and cognition, who devoted her life to crack the code of logos, nature and being. The way she expresses her reasoning is wordless, symbolic and abstract, as she has created her own language in drawings. A language akin to that of Aristotle’s, presented on a piece of paper by using writing utensils. Sin Sin Fine Art is pleased to present a duo-exhibition of French-Colombian artist Pablo Posada Pernikoff and French artist Vincent Cazeneuve “Path” from 21 July until 9 September 2017. Both artists explore how change in material forms induces commonality in our ideas and emotions. To Pablo, the work of art gains life and being. The form and materials of artworks also changes meaning and significance. Vincent’s practice in lacquer art has shifted lacquer painting from a traditional medium that combines various techniques to a contemporary medium of art expression. In ancient China, book binding is considered an art form. The rare art of dragon-scaled book binding technique is an early and transitional attempt to solve the problem of handling lengthy scrolls. A dragon-scaled bound book is still a scroll, but each 'page' was folded and pasted in by its edge to form a stunning textured surface resembling scales imbricating one another. Zhang Xiaodong, book artist, and Founder and Director of Haitangji Book Art Workshop, will give a presentation on dragon-scaled bound books. Zhang’s dragon-scaled bound books have entered competitions and were exhibited worldwide to promote this art form. 5:00 – 6:00 pm "Encounter with Japanese Spirit in Art"
In conjunction with the “Brush” exhibition programme, Sin Sin Fine Art and WADO Project present an in-depth sharing session: “Encounter with Japanese spirit in Art”. Satoshi Katayama is a self-taught artist from Sankyo-son Village, Nanto-City. There, individual farmsteads lie scattered among rice paddies, sheltered by groves of trees. Living and working there, Satoshi is continually inspired to create. Yoshitomo Ohara is from Johana, Nanto-City. He is the 16th successor of Jigoemon, a family name passed down since 1575 along with the traditional techniques of making Johana maki-e lacquerware. Maki-e (‘sprinkled pictures’) is a Japanese decorating style in which gold and silver dust is sprinkled onto a pattern or drawing in lacquer. Johana maki-e is renown for incorporating the colour white in the lacquer pattern. The summer season is upon us. We are pleased to extend an invitation to Sin Sin Atelier Open House Vol. 2 - an access to a selected collection of Ready-To-Wear, jewellery and accessories from Sin Sin Man Archive for this holiday season. Carlos García de la Nuez emerges in the so-called generation of the eighties, marked by a break with the traditional school of Cuban painting. Its aesthetics, based on the expressionist gestural language, with influences of the abstract art, dignifies the national art. Stains, textures and signs of a subtle masterpiece, retailer, whose effective element of tension and balance, they enhance a whole lyric of subjective concepts and undoubted artistic vigour. Roland Hagenberg is a writer, photographer and filmmaker who grew up in Vienna, Austria. Since 2010 Roland has been collaborating with Japanese architects to create experimental micro-houses in Raiding, the birthplace of composer Franz Liszt in Austria. In the Summer Exhibition 2017, it will feature photo portraits by Roland Hagenberg. Let's get to know Villa Sin Sin! 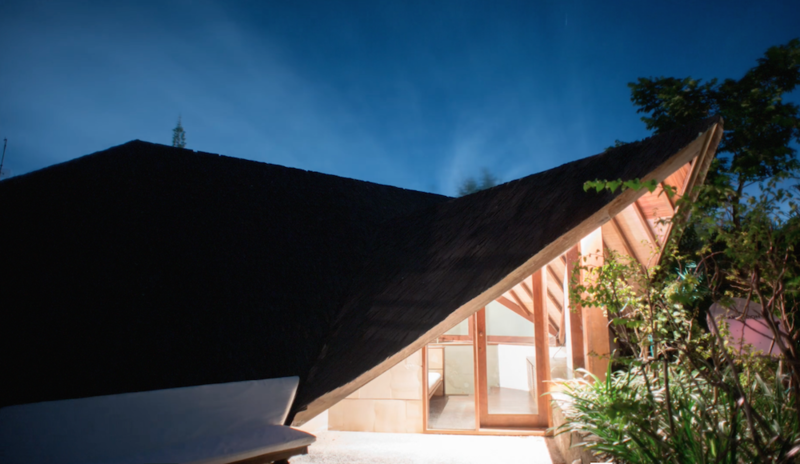 For more than 6 nights, you can explore Villa Sin Sin and Bali at US$ 400/night. Treat yourself and loved ones to live the sensual experience of art, culture and craft with us on the Island of the Gods.